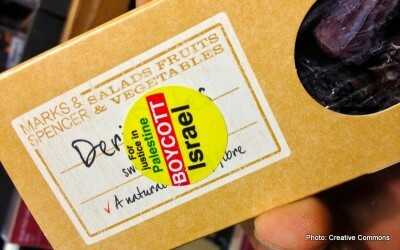 Is It Anti-Semitic to Criticize and Boycott Israel? Yakov Rabkin is the author of the recently published What is Modern Israel? In this essay, he takes on the question that’s affected, most recently, the Labour Party in Britain. Prof Rabkin is a frequent contributor to Global Research. In this article (courtesy of Pluto blog, he develops the history and contemporary resonance of that ever-controversial subject, Zionism. In the last few decades, there has been an important shift in the way Western media and political circles relate to Zionism and Israel. What is Zionism? In the version that ultimately prevailed, it represents a nationalist movement with four essential goals: 1) to transform the transnational confessional Jewish identity centered on the Torah into a secular national identity similar to that of European nations; 2) to equip the new nation with a new vernacular language, based lexically on Biblical and rabbinical Hebrew, and syntactically on Yiddish and Russian – the first Zionist settlers grew up with; 3) to move Jews from their countries of origin to Palestine; and 4) to establish political and economic control over the new homeland. At the turn of the 20th century, other nationalisms had only to ensure political and economic control of their respective countries, while Zionism was much more ambitious and revolutionary. Zionism stands today as the last vestige of the 20th century movements committed to radical social transformation. Ben-Gurion was an admirer of Lenin; one can better understand the daring character of the Zionist project through his admiration of the Bolshevik overhaul of Russia: ‘the great revolution, the primordial revolution, which has been called upon to uproot present reality, shaking its foundations to the very depths of this rotten and decadent society.’ Most founding fathers of Zionism had just as negative, and arguably anti-Semitic views of the Jews they proposed to regenerate and rehabilitate. They did not come from the traditional religious background. They were all products of European education, imbued with the current ideas of the European intelligentsia. Their plight was not economic nor religious. […] They were seeking self-determination, identity, liberation within the terms of the post-1789 European culture and their own newly awakened self-consciousness. From any conceivable point of view, the nineteenth century was the best century Jews had ever experienced, collectively and individually, since the destruction of the Temple. With the French Revolution and emancipation, Jews were allowed for the first time into European society on an equal footing. For the first time Jews enjoyed equality before the law; and schools, universities, and the professions were gradually open to them. Yet, in the late 19th century, assimilated Jews of Central Europe suffered from repeated outbreaks of social anti-Semitism, experiencing a rejection of their desire to merge into the dominant culture, even when they, and often their parents, no longer obeyed the commandments of the Torah and were unacquainted with Jewish tradition. Following the path of secularization that was sweeping across Europe in the 19th and 20th centuries, yet experiencing a lack of acceptance from their surrounding communities, was a source of frustration for many assimilated Jews. Zionism thus provided its first promoters with the hope of rejecting individual assimilation in favor of a broader vision of collective assimilation; a ‘normalization’ of the Jews. Some of them even opted for conversion to Christianity, either on an individual basis, or as Theodore Herzl, the founder of political Zionism proposed in 1893, collectively. No wonder, the majority of Jews found Zionism innovative, bold and, for quite a few, unacceptable. For those Jews who practice Judaism and identify with Jewish tradition, Zionism raises basic existential questions. How could one interpret the return of the Jews to the Land of Israel before messianic times? Would their return obliterate the unique nature of Jewish history and its metaphysical dimension? Finally, what were the Zionists’ ultimate goals? Was their rebellion directed solely at creating a new homeland, or did the Zionists intend to eradicate Judaism, root and branch, that is to say, to uproot the entire religious tradition? These questions remain relevant today. As late as 2014, the Israeli edition of my previous book dealing with Jewish opposition to Zionism was subtitled ‘A History of Continuing Struggle.’ Zionism, as the State of Israel embodies it, raises the issue of the legitimacy of Jewish nationalism and of a specifically Jewish political or military activism. Zionism remains at root a response to the challenges of liberalism rather than a reaction to ambient anti-Semitism, genuine as it was. In fact, liberalism continues to attract Jews. Despite a rich variety of programs designed to promote immigration of Jews to Israel, far more Israelis take up residence in the world’s liberal democracies than citizens of those countries immigrate to Israel. Migration statistics could not be clearer. Most indicators point that Jews have a clear preference towards liberal democracies over the State of Israel, despite the fact that it is often identified as the ‘Jewish State.’ Thus, Zionist leaders and Israeli political figures believe and stress the impossibility for the Jew to live fully as a Jew anywhere else than in an ethnocracy called the State of Israel. The pretention of Herzl, to represent the Jews of the world irritated both the rabbinical authorities and rank-and-file Jews in the late 1890s. The pretention of the State of Israel to represent the Jews of the world continues to irritate them. The conflation of Jews with Israel, and of Judaism with Zionism, is not only intellectually incorrect, but it is politically incorrect, undermining liberal democracy by treating Jewish citizens as though they belong to a different body politic and a different country. In fact, this conflation brings to mind the old anti-Semitic refrain that Jews do not belong in the countries they are born in and inhabit. Moreover, it is this conflation that is at the root of global violence against Jews, as if in retaliation for Israel’s misdeeds. That such conflation may fuel anti-Semitism hardly seems to concern convinced Zionists: an increase in anti-Semitism would only validate Zionism and encourage still more Jews to immigrate to Israel. It is truly a win-win situation. Yet, paradoxically, it is criticism of Israel and its policies that is now delegitimized as anti-Semitic. This manner of deflecting blame for Israel’s treatment of the Palestinians has long been the goal of Israel advocates, ever since the illustrious advocate of Israel in the international arena, Abba Eban, articulated it in the 1960s. This goal took several decades to reach, but nowadays legislatures in Europe and North America condemn and occasionally outlaw peaceful boycott of Israel (BDS) as anti-Semitic. In doing so they explicitly link Jews of their countries to Israel and its actions. This constitutes a serious danger, not only for the Jews, but also for basic freedoms underpinning the liberal principles of Western democracies. Thus the State of Israel not only enforces an ethnically exclusive regime within its borders, but it also undermines liberal values around the world. Israel has succeeded in making the Zionist outlook—by definition anti-liberal—acceptable to the general public, as well as in the media and parts of the academic world, even in countries with a long liberal tradition where the state, rather than confessional or ‘tribal’ solidarity, theoretically ensures the rights of the citizen. Israel is a country without borders in more ways than one. Its ideology ignores borders, affirming the existence of a state of the world’s Jews, while expressions such as ‘Jewish State’ or ‘Hebrew State,’ rather than Zionist state, are now widely used in the media. At the same time there occurs an increasingly overt transformation of Jewish organizations around the world into Israel’s vassals. In several countries, courses of Jewish advocacy have been imposed on students of Jewish schools, and Jewish youth are offered free trips to Israel, during which they are subjected to professional Zionist education. Yakov M. Rabkin is the author of What is Modern Israel? He is Professor of History at the University of Montréal, Canada. He has published and edited five books and more than three hundred articles. His is also the author of A Threat from Within: A Century of Jewish Opposition to Zionism (Zed Books, 2006).